Random Access Memory is the best-known type of computer memory. 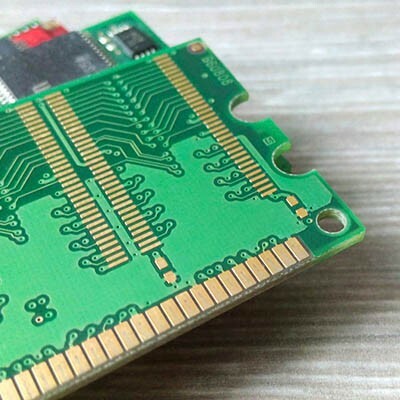 Located on the motherboard or on its own chipset that’s connected to the motherboard, RAM provides fast read and write access to a physical storage device. Your computer uses its RAM to load and send data, period. It does this because it is much faster than trying to load it directly off of a hard drive. The speed in which it helps a user access the files exponentially improves the usability of a computer. Known as memory, RAM has nothing to do with the amount of storage space a drive has, however. It’s simply the measure of the amount of data that can pass through. As the amount of RAM grows, computing experiences move faster and more can get done. Much of the innovation in resource-intensive software is being made thanks to RAM innovations. When you start up a computer, the first thing it does is boot up the OS. As this process initiates, it will be stored in the system’s RAM. Since software, for the most part, isn’t that “heavy”, most times any software that is initiated by the user (or the system on startup) will be sent to RAM for easy access. When you do get “heavy” software spun up, however, and RAM starts to run out, your computer will slow. This is because the information needed to run the software will be pulled from the Hard Disk rather than the RAM. If your system (or your mobile device) is constantly slowing down, or applications are crashing, it’s likely that you are calling too many resource-intensive pieces of software for the amount of RAM on your system. Of course, there are plenty of other reasons a system could slow down, but if it runs fine until you start opening “heavy” software like web browsers, media apps, and the like, you are probably in need of another GB or two of RAM. Now you know why the amount of RAM that your computer has is important. For more great technology information return to Strata Information Technology’s blog regularly or give our professional technicians a call today at 888.678.7282.